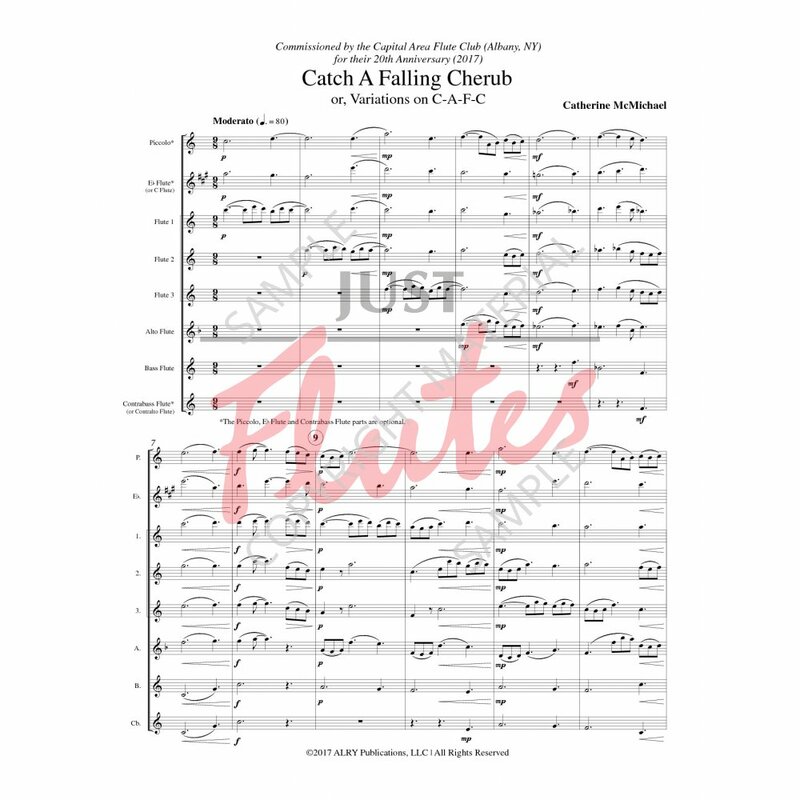 Catch a Falling Cherub (or, Variations on C-A-F-C) was commissioned by the Capital Area Flute Club (Albany, NY) in celebration of their 20th Anniversary. 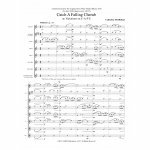 The premiere performance took place on May 7, 2017, at First Presbyterian Church in Rensselaer, NY. 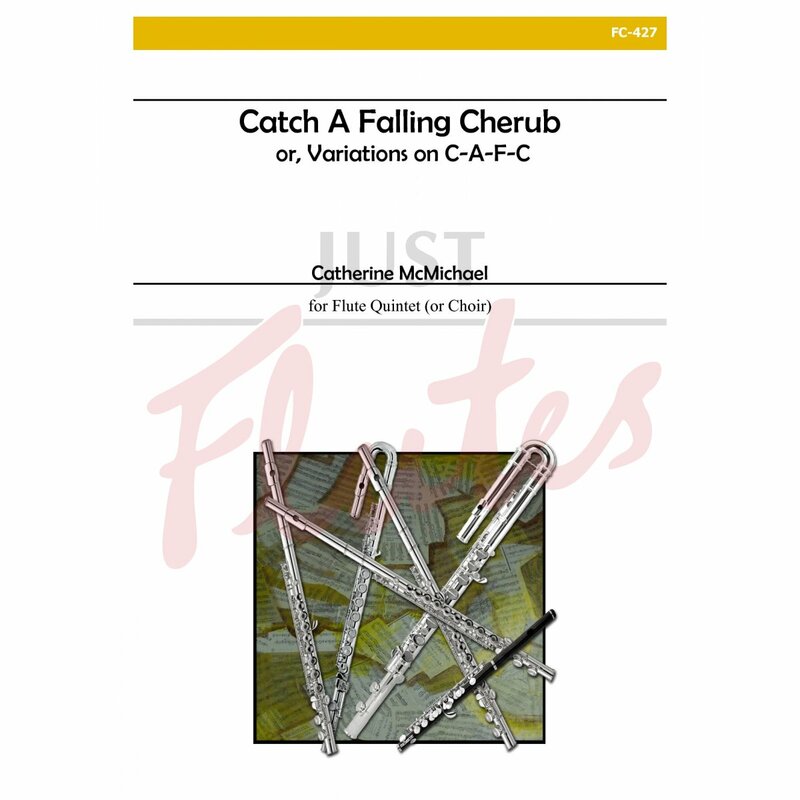 As inspiration, Catherine McMichael took the letters from the initials of the flute club in order to create a musical theme, thus, the motive C-A-F-C became the foundation for the work.